…and we’re waving the white flag. Enough! We surrender! We give in to the mounds of mashed potatoes and gravy. If you’re like us and ready to get back on track… please take me up on this Personal Invitation to join the free 25th TT Transformation Contest that starts today. FREE airfare to the TT Summit in Denver on June 3-4th … PLUS free hotel accommodations in Denver the entire weekend. It doesn’t matter if you have 10 pounds to lose or 50 (or more), all you have to do is take advantage of this free contest and start losing belly fat. And YES, this is open to anyone from ANYWHERE all over the world. But hurry, there are only a few days to enter. So get your newspaper, take your before photo, and then start using one of my workout videos to lose weight and get back in shape fast. That link will show you how to take perfect before and after photos as well as the most important measurements so that you maximize your chance at winning my money and joining us in Denver at our annual TT Summit. In Denver you’ll get to workout with me, Missi Holt, and Daniel Woodrum, as well as 200 of your new best fitness friends. It’ll be a life-changing weekend and we’re picking one lucky winner to attend with all expenses paid. But you can only win when you transform! Let’s clear out those mounds of mashed potatoes, kick the chocolates to the curb, and get out of our stretchy pants and back into our TT workout gear. It’s never too early to make 2016 your Best Year Ever! Thank you for taking me up on this personal invite to join our 25th TT Transformation Contest. We’ve been doing these since 2007 and you’re transformations never cease to amaze me. 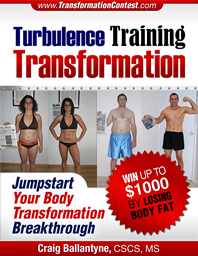 I want YOU to be the next TT Transformation Superstar. You can do it – I believe in you… and in a few months from now I hope we can meet face-to-face in Denver to celebrate your victory! Don’t wait till January 1st to change your life. You have everything you need to get started today. And it’s free… the best gift I can give you this Christmas. Now if you’ll excuse me and Bally, it’s time for our own transformations to start. We’ll be right there with you, working hard and staying motivated every morning. And if you need extra coaching help, stay tuned, because I have a special Facebook group opening up soon where you’ll have the chance to work one-on-one with me AND get my brand NEW follow-along workout videos. Until then, start your Transformation Journey here. Struggles aren’t bad. Mistakes don’t last forever. Failure isn’t final. If there is one thing I know after having observed this crazy world for 40 years, it’s that you can SURVIVE almost anything and come back better and stronger than ever before. Don’t let the fear of failure stop you from achieving the success you deserve. You can – and WILL – do it. Bally and I believe in you!